You are just beginning to Awaken. Until the Light Awakens you, even the Light of Consciousness Itself, you continue to dream, try to survive within the dream, manipulate yourself within the dream, pursue all kinds of goals, searches — none of which Awaken you. Those who are Awakening in Truth begin to notice something. They begin to recognize the signs. They begin to recognize the activity of dreaming. They begin to sense something very unusual about Me. I Am your own True Self-Nature Appearing within the dream to Awaken you. I Am your Awakening, and your Always Already Conscious State. —Avatar Adi Da Samraj "The Ancient Walk-About Way"
As Avatar Adi Da describes above, many people do "sense something very unusual" when they become aware of Him. Some describe a direct knowing, before any thought or word, that He is not a separate being — even though being separate seems to be a fact of existence. 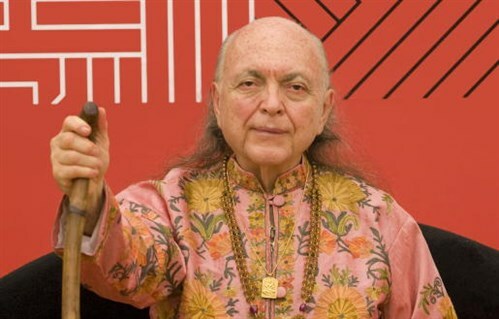 Some report overwhelming bliss when they see Avatar Adi Da in a dream, without even knowing His Name. And some may not use any of these words to describe what they feel, but still they sense something very unusual about Him. Such an unexpected moment can be quite astounding. In an instant the heart awakens and knows that the feeling of separation is not true. Real God actually exists — and this is not just a matter of belief! It is a clear and direct Reality, the obvious truth that somehow went unnoticed before. Avatar Adi Da's Life and Work are His Gift to all. Through the devotion awakened by that Gift, Perfect Divine Enlightenment is a real human possibility. Because of Avatar Adi Da's unique Incarnation, everyone now has the opportunity to feel — and, ultimately, to realize — His Divinely Enlightened State. Avatar Adi Da's Divine State can be felt through His written and spoken Teaching. He can be felt through photographs and recordings, through His Art and the Sanctuaries that He has empowered, and in any moment that He is truly remembered. This is a great mystery to the ordinary mind, but it is true. Please accept this invitation to learn more about the Great Gift that Avatar Adi Da Samraj offers. Purchase books, CDs and DVDs from the Dawn Horse Press online bookstore for study offline. A good first book is Avatar Adi Da's Spiritual autobiography, The Knee of Listening. The complete text of Chapter One is available online at no charge. Attend a retreat, either locally at an Adidam Center near you or at The Mountain Of Attention Sanctuary in Northern California. Subscribe to the Adidam Revelation Magazine, a free online publication. New articles are published twice a month.